So, basically they are saying that long term weather prediction methodology is so bad that randomly guessing works better? 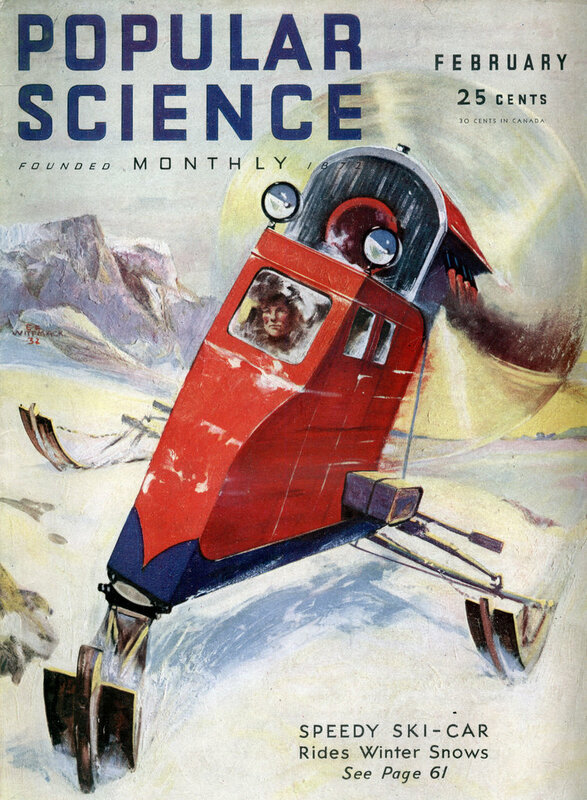 While day-to-day weather forecasting enjoys reasonable accuracy, meteorologists have still to work out a basis for long-range prophecies. 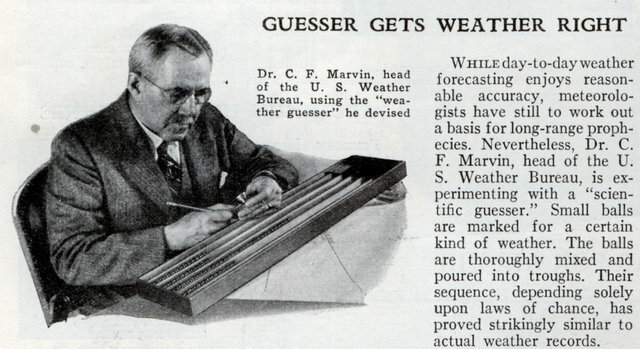 Nevertheless, Dr. C. F. Marvin, head of the U. S. Weather Bureau, is experimenting with a “scientific guesser.” Small balls are marked for a certain kind of weather. The balls are thoroughly mixed and poured into troughs. Their sequence, depending solely upon laws of chance, has proved strikingly similar to actual weather records. Using one chaos system to predict another chaos system, terrific.